We have Puppies Available! Click Here! Puppies are AKC registered with hip and elbow guarantee! 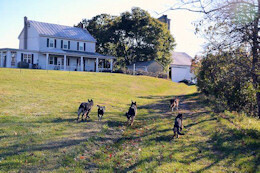 We are located on a farm in central Pennsylvania. Shipping is available. We have followed the German SV rules and guidelines for responsible breeding since 1994. 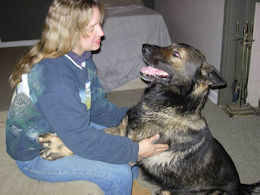 Our German Shepherd parents are 100% import bloodlines, Schutzhund Titled, Conformation rated, Breed Surveyed, Hip/elbow rated with a-stamp or OFA, health and temperament tested, before they are bred. Puppies are highly intelligent, trainable, healthy, with correct structure, pigment and temperament. Puppies are suitable for Schutzhund Sport, Competitive Obedience, Agility, Search & Rescue, Service K9, Detection, Police, Protection, and active family companions. 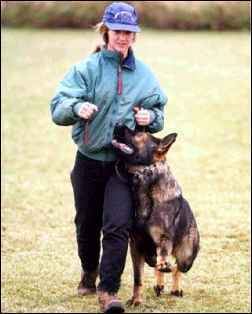 We are one of the few German Shepherd Breeders in America who continue to train our own German Shepherds in Schutzhund sport! 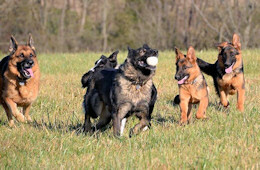 We have bred, raised, trained, and titled many German Shepherds to National Championship level, as well as to World Championship Team membership! 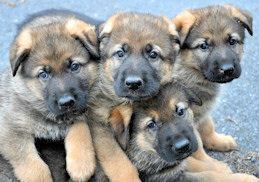 We strive to breed the very best quality German Shepherd puppies for working, as well as for active family companions! 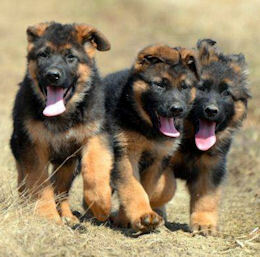 We love the German Shepherd dog, and are dedicated to producing outstanding puppies! Molly and Eagle, speaking their own language.